UK, 1975, 96 minutes, Colour. Nico Minardos, Nina Van Pallendt, John Woodvine, Marianne Faithful. Assault on Agathon is an entertaining action film. A revolutionary from the war becomes a terrorist in the Balkans, in Greece and in Albania. 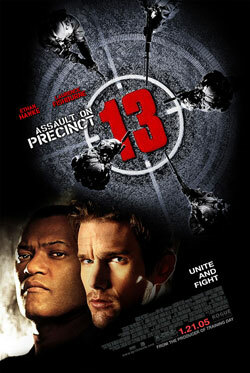 An agent is sent to stop him and to find an agent who is missing from Interpol. The film was shot on location with very interesting and attractive settings. Greek actor Nico Minardos is the agent. Two singers of the period, Nina van Pallendt (of Nina and Frederik) and Marianne Faithfull, are also in the cast. The popular ingredients of this kind of espionage and action adventure. Direction is by Lazlo Benedek who made two classics in the 1950s, the film version of Arthur Miller’s Death of a Salesman and The Wild One with Marlon Brando. 1. Was this an A or a B picture: in plot, characterization, style? Audience expectations? 2. The impact of the pre-credits build-up?. the follow-up to these action sequences? Was this line taken throughout the whole film? 3. The film as one on international politics? How credible? The initial robberies, assassinations, revolutions, the picture of international prisons? Did it retain audience interest, how enjoyable? 4. The world of international criminals? Agathon himself and his background during the war and resistance, his ideals and revolution in the 1970s? The significance of the Agathon myth? A hero in his day, but not remembered? 5. The world of the international police? The initial danger for Maria and Matthew? Their reliance on Cabot Cain? Their connections, international movement? Their role for justice in the world? 6. The film's focus on methods of the international police? The rescuing of Matthew from the village? The visit to Trieste and the prison? The final siege of Agathon's hill fortress? 7. The quality of interrelationships portrayed in the film? Matthew and Maria, especially the danger at the beginning? His illness and recovery? The irony of Maria being Cernik's wife? Their relationship with Cain and reliance on him? 8. How heroic a man was Cabot Cain? American, international police? His doing his job and his skill? Violence and death? The encounter with Helene and her role in the film? Contrived? Her death and its effect on Cain? 9. How dramatic was the revelation of the truth about Maria? Her encounter with Cornik? Its leading to her being killed by Cernik's girl friend? The significance of Maria's death and her not wanting Matthew to know the truth? 10. how interesting a criminal was Agathon? His misguided dreams? His methods? Henchmen? The final siege? Cernik's attack? Agathon's death? 11. How enjoyable are films like this? What values do they stand for and portray?